We love to receive letters, pictures and emails from our clients updating us on the horses they have purchased or bred through our farm. With so many of our "children" out in the world, keeping track of them is a daunting task. 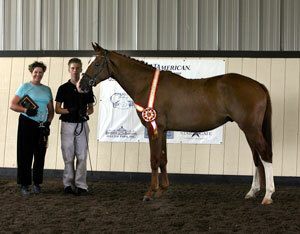 It is very gratifying to see so many of them doing so well and living up to their owner's dreams. It certainly makes all the effort, planning, dreaming and occasional heartache worthwhile! Mo, Lhumi is just great. She has settled into stall and turnout quietly (thankfully, because it's really wet here), and is so easy to handle. I particularly love her inquisitive nature. 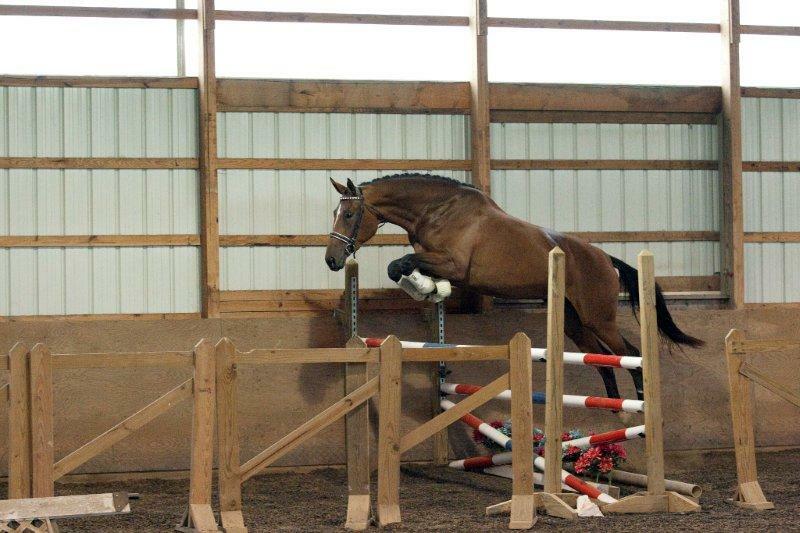 Today she and Joy went out for an under saddle ride and were joined in the indoor by someone jumping! No issues when a cantering horse leaping things suddenly appeared from any angle. She is an old soul. 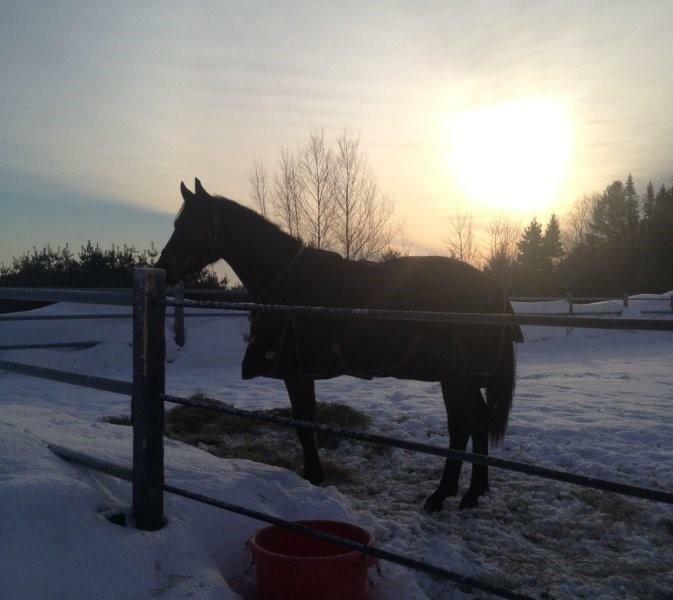 I went to find her in her rainy paddock yesterday to see a dark bay horse with bright eyes, bright star, and black/yellow blanket cheerfully check me out and whinny - exactly the same experience I had with my retired 22 yo mare an hour later at a different barn. Eerie! Thank you so much. We will be taking her to June GMHA for some experience and maybe a Training test on Sunday with Joy if all seems well, will video for you if that all works out and certainly keep you posted as we adventure through the summer. Heidi had a good year this year. Our lessons with Cara have really helped to get us on track for third level. We can do everything required, just need to work on basics to make everything better. 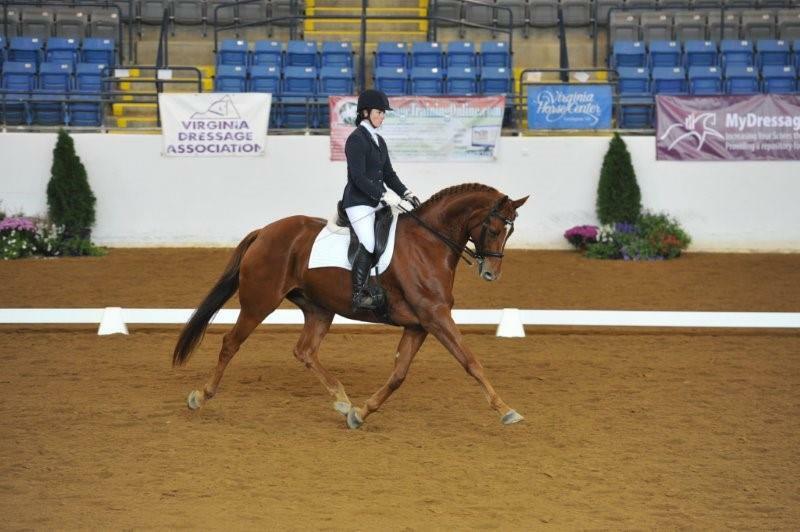 We even had some fun at the Region 1 Adult Team Championships in early Nov hosted by PVDA. 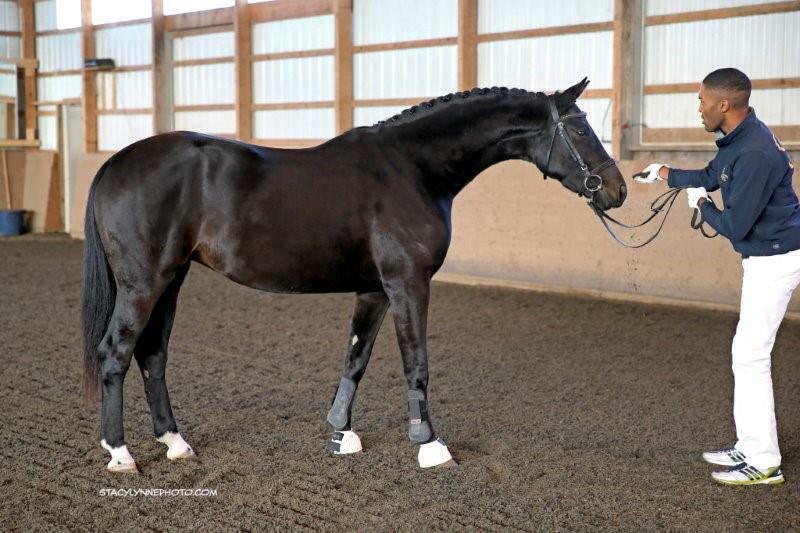 Attached is a pic of the beautiful horse you bred taken at the PVDA show! Hope you had a great time in Germany. See you soon. I love all the babies I saw on Facebook Enjoy the season Mo. I've gotten many compliments on Fran and I always refer to your amazing barn you run up there! 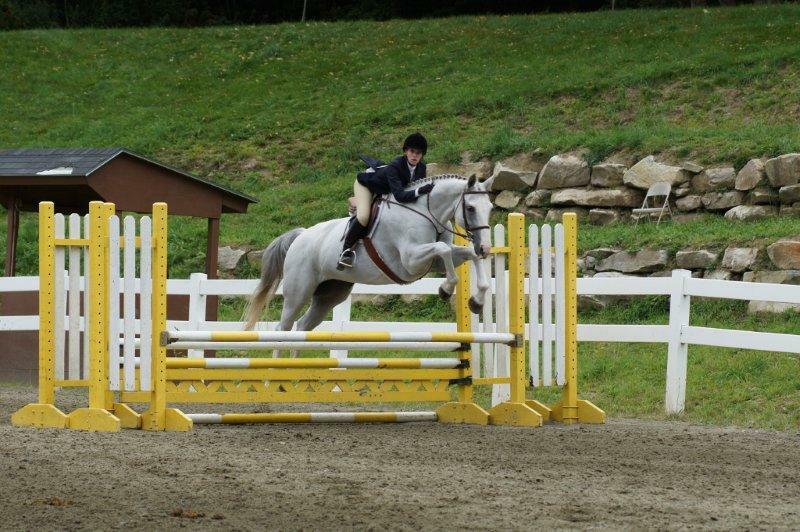 Francesca went to her first horse show at Nona Garson's The Ridge and she did not look at one jump- so brave! 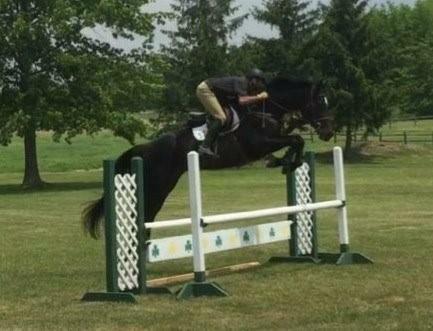 Just level 0 (2'9") but she schooled level 1 much better. We will probably put her in 3'6" by the end of summer. I had many inquiries where I bought her. I thought I might give you an update of sorts on one of your 1999 babies, Ghlenlivet. My name is Kim Jones and I have had Nancy Stanton's Ghlenlivet for the last 2, going on 3 years. Long story short, I am a para rider after an accident in 2001 and must use a wheelchair for any mobility beyond a couple of steps, unless in a small enclosed area. 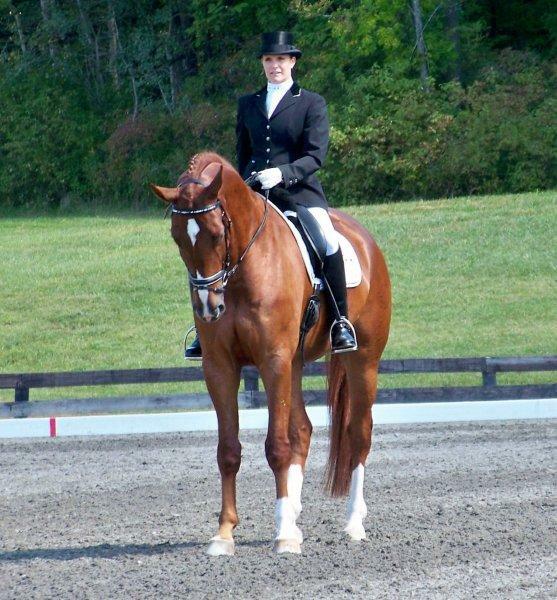 In 2012, my sponsorship fell through to purchase Ghlen, so I asked if I could lease him to get to the London Paralympics. Nancy and Greg took him off the market so I could try. After only 3 1/2 weeks together we qualified for trials but we did not make the Paralympic team; however, we did come in 6th nationally and 12th for the team selection. I was so sure Ghlen and I would make the team, it took months for me to mentally spring back. I've been allowed to keep him and am working on purchasing him. He, even at age 15, still has his strut. He is helping me relearn the upper level movements and I am working to begin some of the GP movements. If I can raise the sponsorship, I'm hoping to do alot of things with him in the next two years: Start working my way up the levels and get my bronze, silver and gold.... 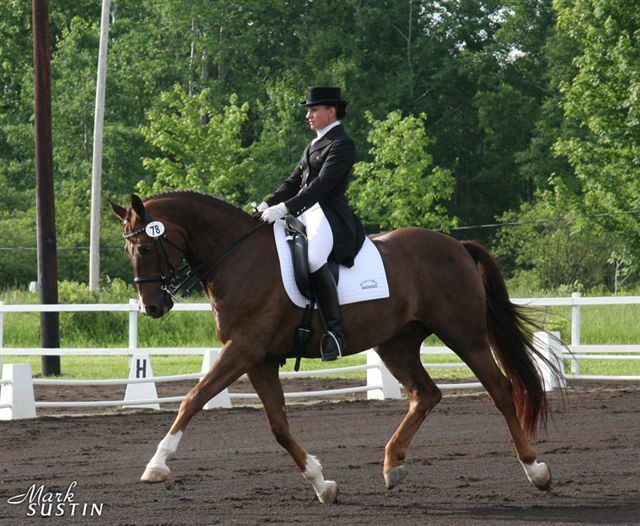 Compete in some CPEDI 3 *'s, qualify for para trials for Rio, Rio Paralympics, and begin riding GP. I had hoped to be able to be the first person in a wheelchair to make the able bodied world and Olympic teams...with Ghlen. But my relearning stuff is coming slower than I had hoped - and with the new FEI rule that they cannot compete past 18 - that will not be a possibility. 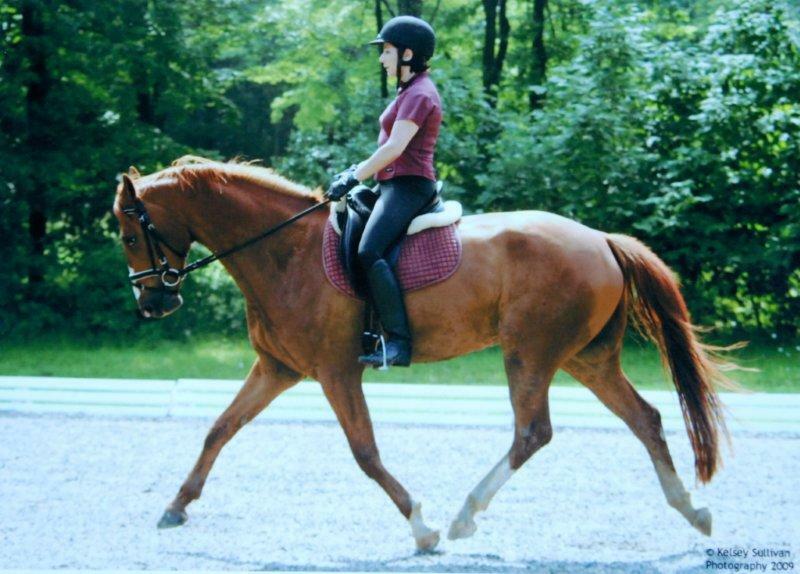 But I still plan to ride him to GP...one day...as my body allows. 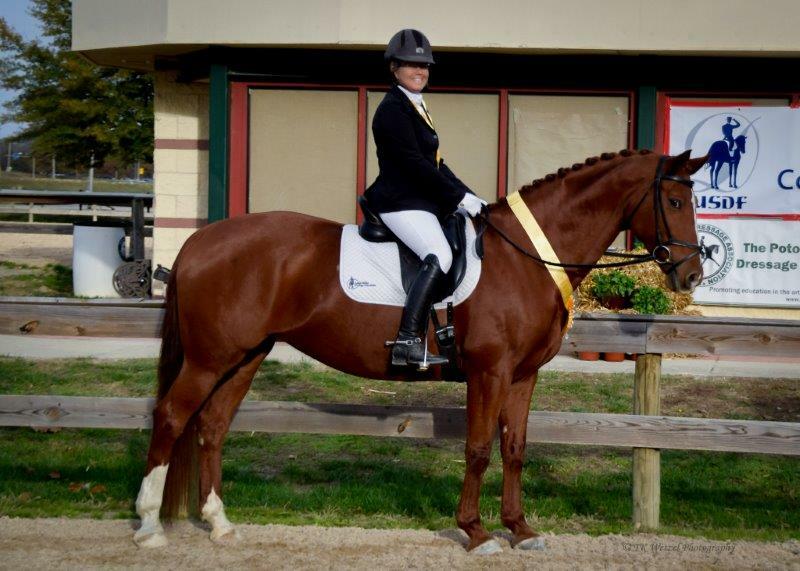 Tammy and Nancy report that Fhantasia was a star at her first horse show, Fox Lea in Venice, FL. 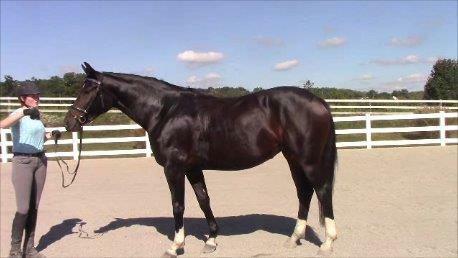 She got a 71.6% and a 76% at training level, receiving the show high score at training level. 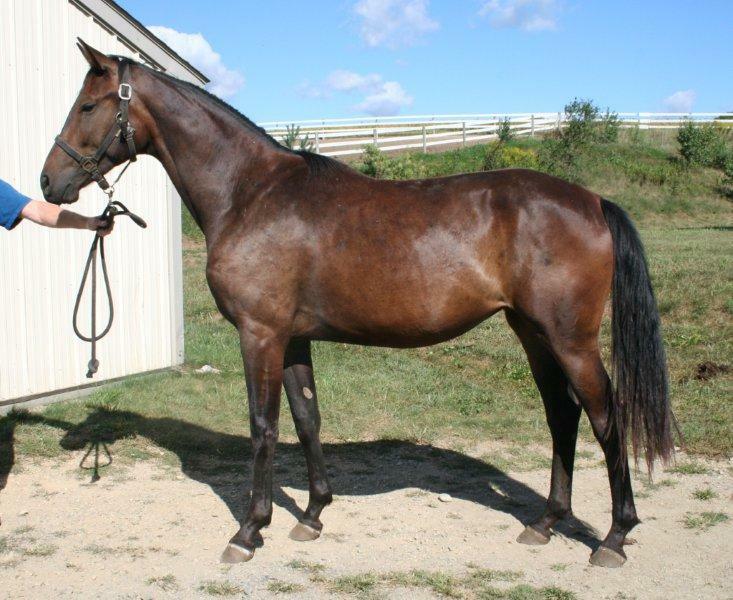 Tammy rode her for Nancy and reports, "She is the best minded baby I have ever had and I have had a lot." I think Fhame has settled in well and is enjoying her new life and her new person! 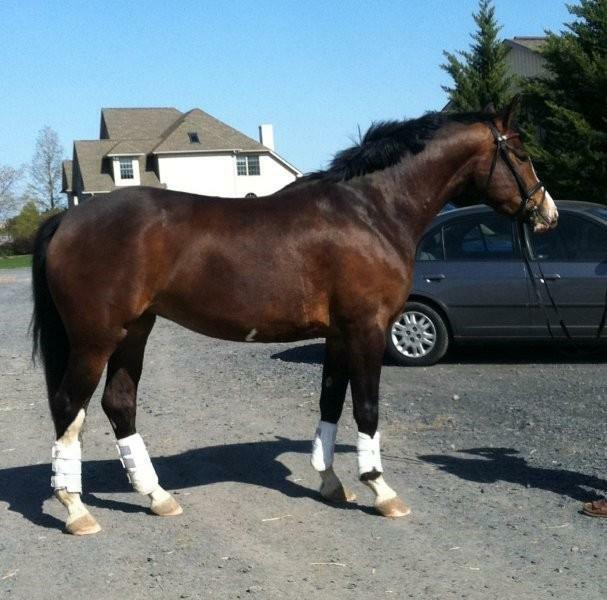 She has gotten her feet trimmed and a new "Fhame-sized" blanket and front boots. Otherwise, she has inherited an entire tack room full of possessions (smiles). She has several buddies for her daily pasture turnout and a nice 12 x 20 stall at night. As for me, I love her more each day. As far as I can tell, she is just about unflappable, though certainly not lacking in energy and willingness to work. The barn where I board is a very active stable with lots of things going on. 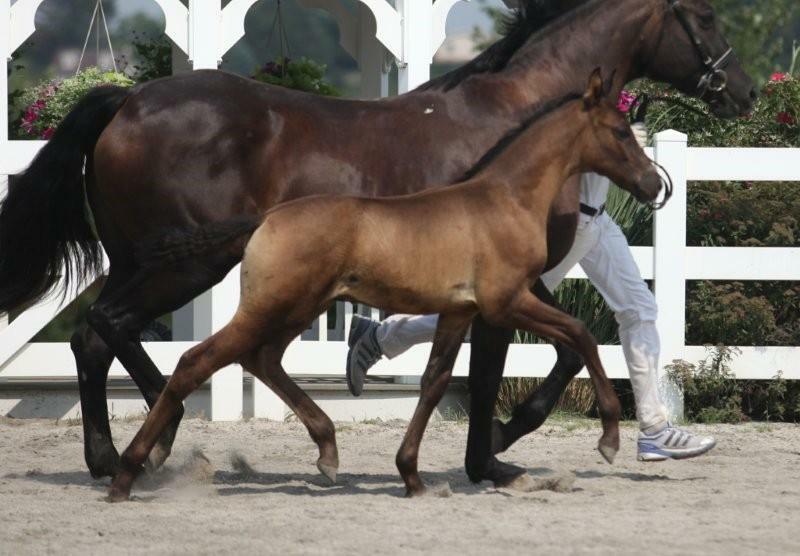 On Sunday, there was a mini horse in the arena, and I swear Fhame thought he was a tiny alien! She stared and stared at him, though no spooking or bad behavior (in fact, none at all, since she has arrived). And this just blows my mind. After I let her go have a closer look at the mini, she went back to work and was completely unconcerned. I did learn something from the "mini" episode though. 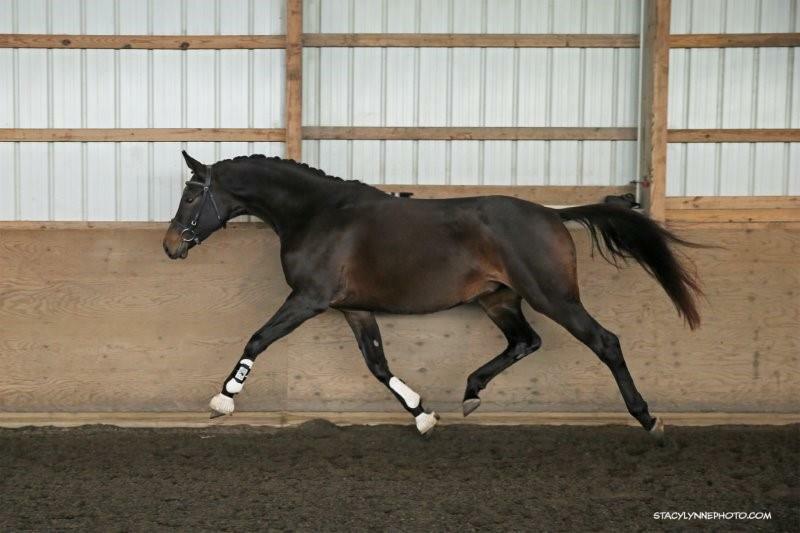 When I first brought her to the arena and started to ride, before I allowed her to check out the mini, she showed what she can really do with her trot. I didn't know it was in there. But wow! She has power and suspension to spare!!! I am thinking I might look into redoing her Oldenburg testing, if I can find a testing site within a reasonable drive, just for fun. 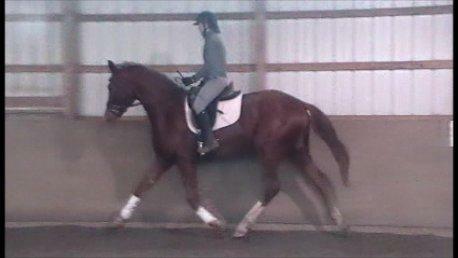 Because even in the couple weeks she has been here, her gaits are developing. I have also played with some of the natural horsemanship obstacles we have in the arena. And I can't find anything she won't try. I can ride her over the little wood bridge and she hops her front legs up on the pedestal as soon as she figured out what I was asking. I don't know which of your two "breakers" started Fhame, but they did a "fhantastic" job with the ground work! 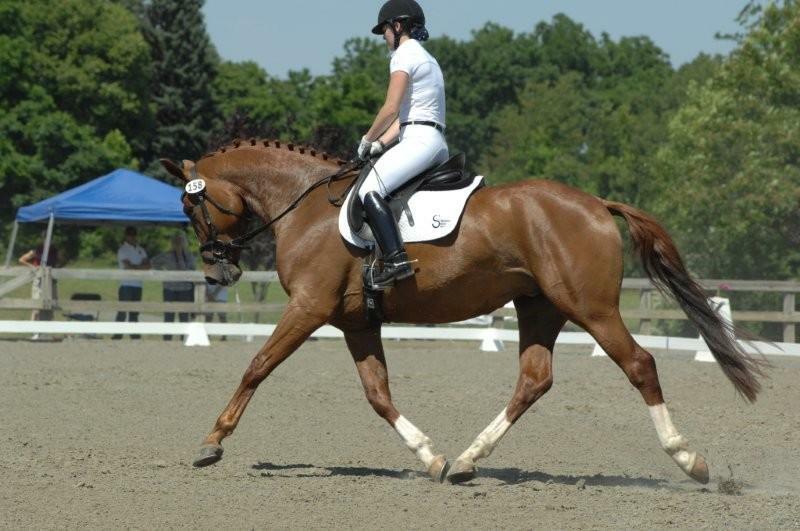 I have a lesson this weekend with Terri. 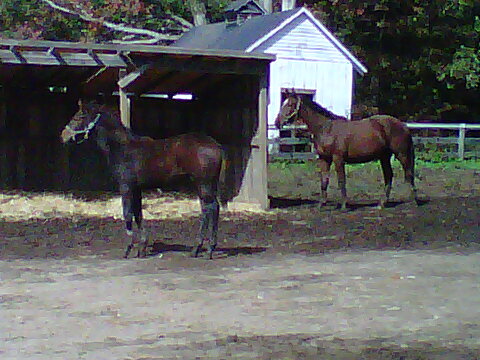 Will be our first haul-out from the barn and the first time Terri and Sherrie will meet her. 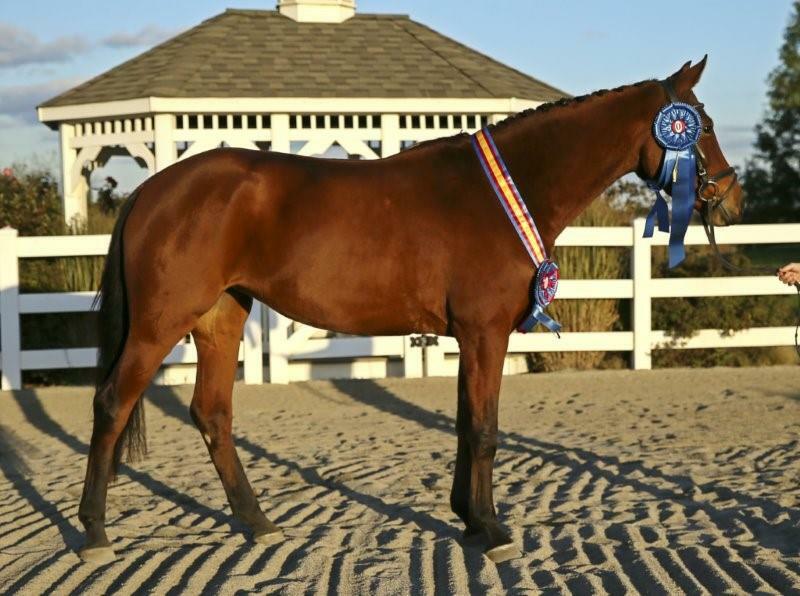 Since everything has gone so smoothly, I am going to go ahead and get her competition numbers and plan to sign her up for her first show in April. 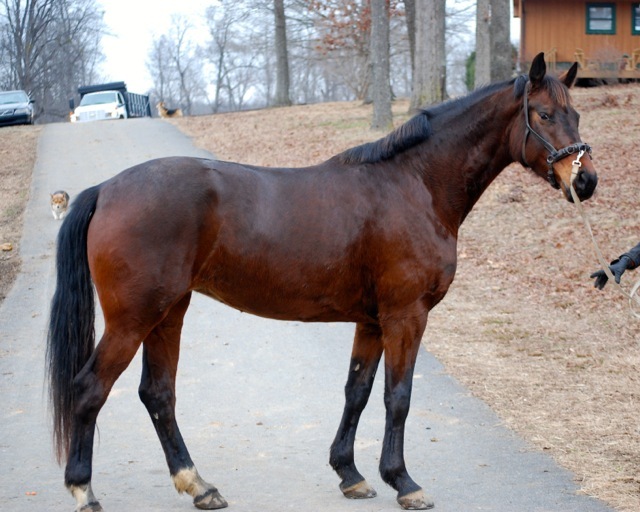 I am excited to have a horse I can compete with this year. 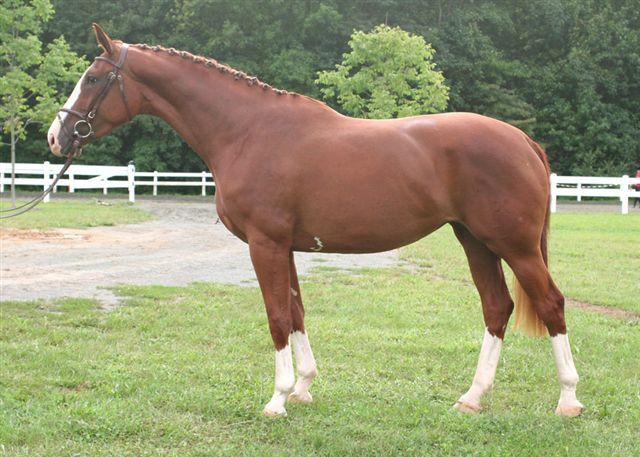 I also have thoughts of doing a little bit of light hunter type jumping with her and maybe even taking her to a clinic where she can learn to work cattle. I did a little bit of that with my Widmark mare, and we both had so much fun with it. Of course, the cowboys thought I was crazy. Nice break from schooling dressage though. She doesn't need to school much at this level. She just needs to continue to build strength, which she can do on the trail and doing other fun things. 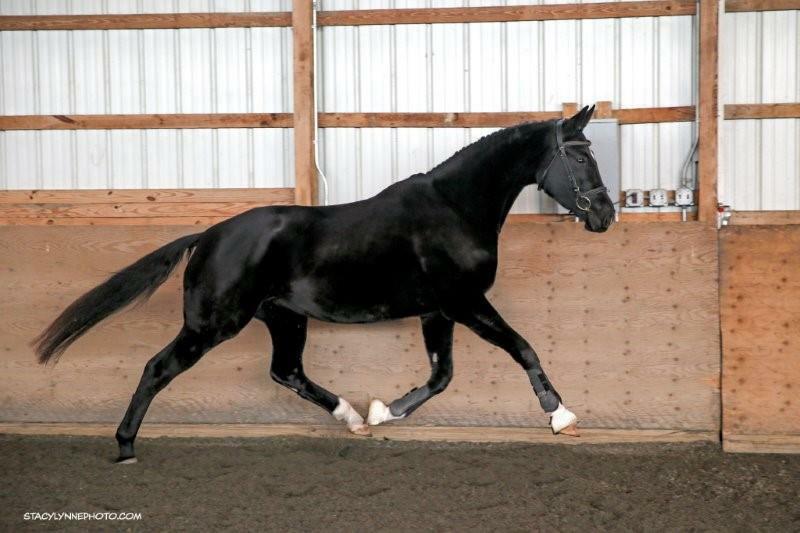 I am beyond thrilled with my new girl. My weight coach commented today about the smile on my face and how nice it was to see after months of gloom over Jupiter. 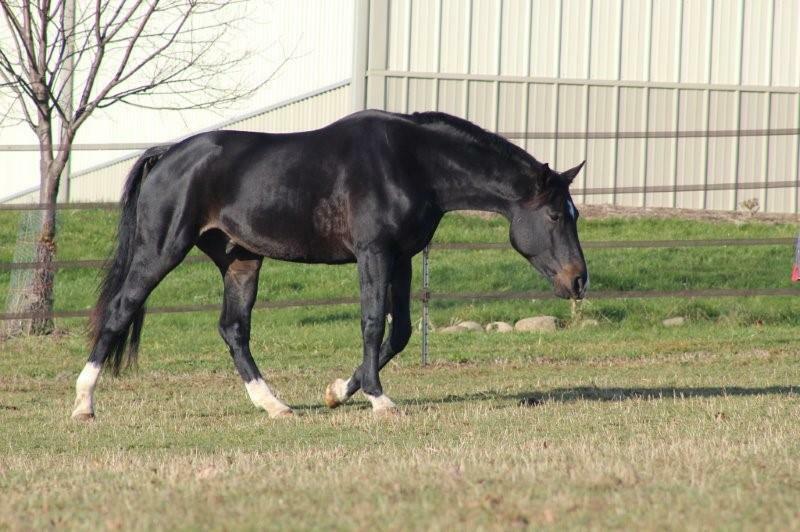 I am glad I didn't try to find a horse to "replace" my Joopy but rather a new and different challenge. Fhame is very different from him in nearly every way. And she is rapidly pushing any remaining sadness right out of my mind. Hope all is well at the farm. I look forward to seeing what naming theme you choose this year and hearing about the 2014 foals. Hello! My name is Lauren Wade and I wanted to let you know that I recently purchased Ghalewind (now called Tempi or the Tempest as her mood decides) from Kris Schuler. We had a rough start together, but now we seem to be in the swing of things. She has at least tentatively decided that being a show horse is a good thing...she still doesn't believe that she doesn't get to stand in the field with a pretty foal at her side all the time. She has been to five recognized shows this summer and is qualified for region 2 finals at Training level, First level, and in a First level Freestyle!! I would have been thrilled just to make it down center line a couple of times!! Nancy Lewis-Stanton and Kris Schuler assured me that we would do much better than that and they were RIGHT! We did compete against her big brother Ghlenlievit in the Freestyle at Grand Haven a few weeks ago. The "old man" schooled his little sister on how it is done...maybe we will get him next time! 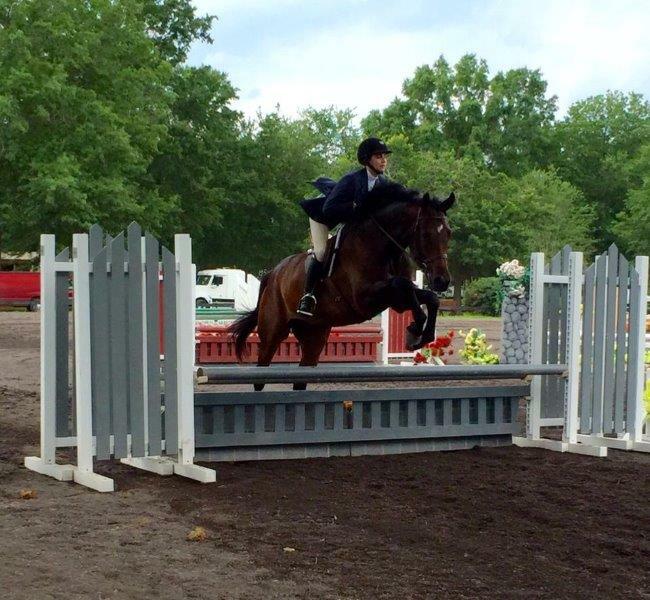 Dew Berry is having great success in the hunter ring with her new owner's daughter. Attached are some photos of Ghardener and I from the Region 8 Finals. I also have links to two of our finals classes. This link is to the First Level Championship, which we won! This link is to my musical freestyle. We placed third.